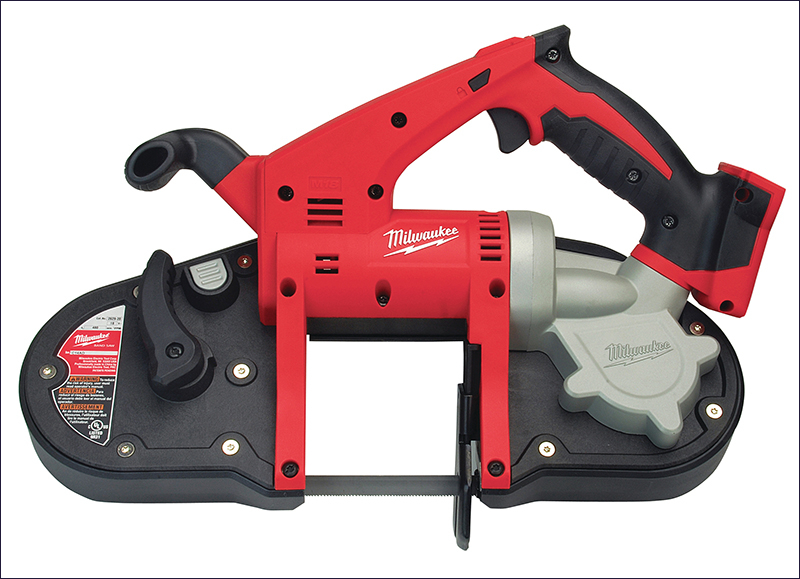 The Milwaukee HD18 BS-402 Cordless Band Saw has a compact and lightweight design, making it ideal for cutting overhead and in tight spaces. It cuts most common materials for electricical, plumbing and mechanical cutting applications. The band saw has a tool-free adjustable material shoe, which allows flush cuts when working with installed materials against walls and ceilings. A blade ejection system allows the blade to be changed quickly. REDLINK™ overload protection electronics in both the tool and battery pack deliver excellent system durability. No load speed: 146 rpm. Max cutting capacity: 85 x 85 mm. Bare unit. Batteries and charger NOT supplied.